Dave Zdanowicz is one of our regular contributors and photographers here at Northern Life. You may have seen his book, Yorkshire In Photographs, featured on the Northern Life website. A fantastic photographer, Dave takes thousands of beautiful photographs every year but very rarely of himself. 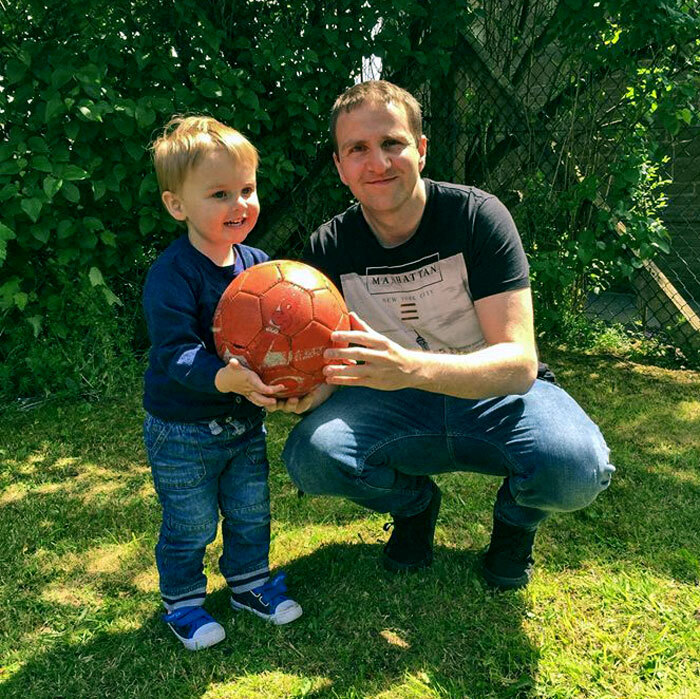 Dave was born with cleft lip and avoids thinking or talking about the condition. However, he’s now shared his story about growing up and dealing with the issues surrounding the condition. I was lucky enough to be an 80’s child (the best decade may I add), and I am proud to have been born with a cleft lip and palate. The condition also left me with my nose requiring reconstruction and I also have a tiny hole in the roof of my mouth, which is linked, to my nose. Growing up I always had a good group of friends at school so I never really had any negativity or bullying towards me in my close circle, however I had lots of grief from older kids or adults who used regularly insult and target me. I’d love to say this was like ‘water off a duck’s back’ but with any type of bullying it has left its mark. I still find it difficult to look in a mirror and photographs of myself are very few and far between. My early years with cleft lip have certainly impacted my characteristics as an adult. I am an extremely fussy eater and I have major trouble socialising in public places (I’ve spent my entire adult life avoiding them) having said this, I try my best to turn all these into positives. I believe it’s made me a kinder person. My cleft lip and palate have helped shape me into the person I am today and I am really happy and proud to be that person. One thing in this world I cannot stand is bullying. It’s completely ok that not everyone is the same. Everyone has a right to be who they are or want to be. 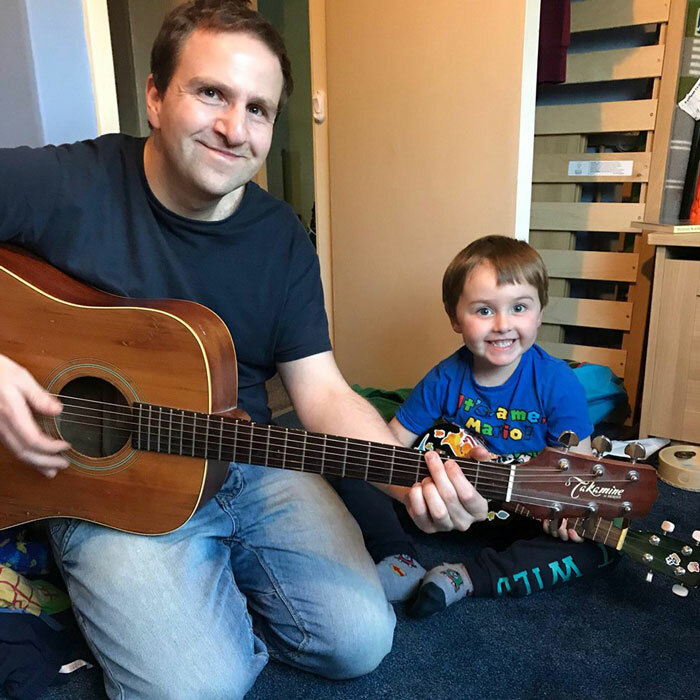 I have a wonderful family and my son Jack has just turned four. I am proud to be a landscape photographer with two successful book releases. On top of this I have a regular day job as a performing arts technician / designer within a secondary school. The only memories I have of the condition as a young boy are through old photographs. My parents informed me I had lots of operations and spent pretty much the first three years of my life in a hospital ward. I saw more of the nurses and doctors than I did some of my own family. I can safely say that this period will have been a lot harder for my parents to cope with than any memory I have of the time. My parents were informed that I couldn’t use a regular baby bottle (the hospital provided razor blades to cut a larger hole in the bottle). 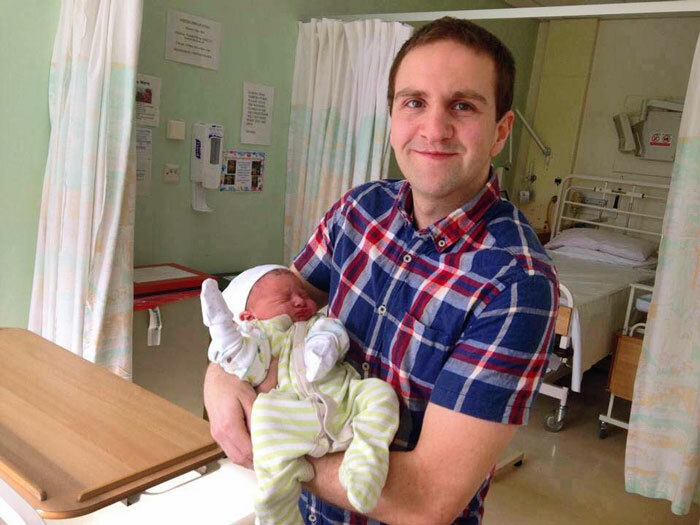 I struggled with any liquids and ‘normal’ eating habits for a baby were simply not possible. I have been told I needed to wear mittens and splints on my arm to stop me spreading infection and aggravating any stitches from the operations. Absolutely everything had to be sterilised and I was limited to certain foods in order to reduce bacterial infections. Despite this I was a really happy baby. This was due to having amazing parents and great support within the hospitals. Being a parent myself it is the hardest thing in the world seeing my son poorly. I cannot image what it was like for my folks having to witness me have so many operations and spend a lot of time in hospital. Back in the 80s the facilities and support were not at the level it was today, however, they remained strong throughout it all. And I was loved unconditionally. They gave me the best childhood I could have wished for. I first realised I was slightly different to other kids during first school. I had to attend a lot more hospital appointments and (what seemed to be) the orthodontist every other week. It still sends shivers down my spine when I think about going into the room for an appointment. It reminds me a little bit like an XFactor audition because I was sat in a chair and I had so many faces gathered around the room staring at me and discussing me. Another memory (although not a fond one) was going to the speech therapist. You’re talking about the early 90s too! There were no iPads. It was a paper and card job. During middle school came my first memory of an operation. I was required to have a bone graft to repair some of the bone in my jaw. This operation hit me hard for a number of reasons. It stopped me playing football for a lengthy spell (I was convinced I was the next Gazza) the other reason it hit me hard was a visit to the hospital to talk me through the procedure. 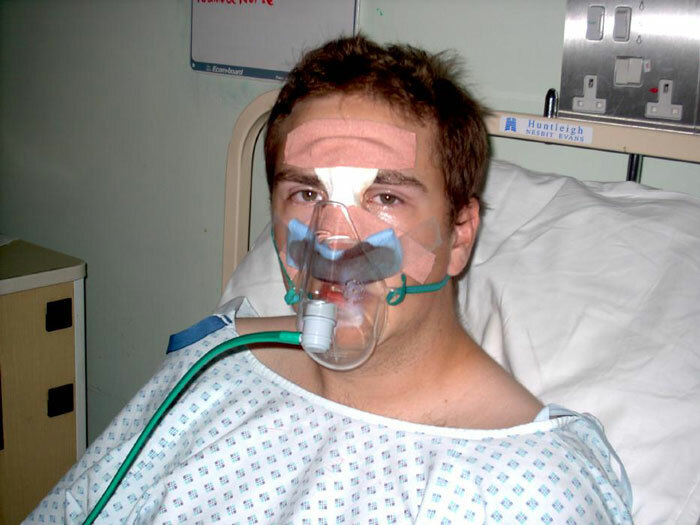 I remember a lady showing me round the operating room and showing me the gas mask they were going to use ‘put me under.’ That memory still haunts me to this day and I have real anxieties about hospitals and falling ill. On the surface I appear jovial and confident but I fight a daily battle with anxiety. In order to help deal with this I have always invested my energy into something creative, whether that be football, music or photography. The operation required a bone graft from my hip in order to strengthen my jaw. It was tough on me, as I had to spend three weeks in hospital and required 127 stitches in my mouth (aghhhhhh). I wasn’t allowed anything with sugar in or anything dairy so the diet was pretty grim! It hurt to laugh, hurt to cry and I couldn’t even walk due to the state of my hip. The time in hospital was not a pleasant experience. For the first two weeks I had to be on a completely liquidised diet. If you think hospital food is bad now then I suggest you sample the diet I was on. The current menu would be like going to a Gordon Ramsay restaurant in comparison. another boy who was making me laugh, the nurse came up to me and said I had to go back to my room because laughing could aggravate the stitches. Once this operation was complete the surgeons began prepping me for the next operation I needed. 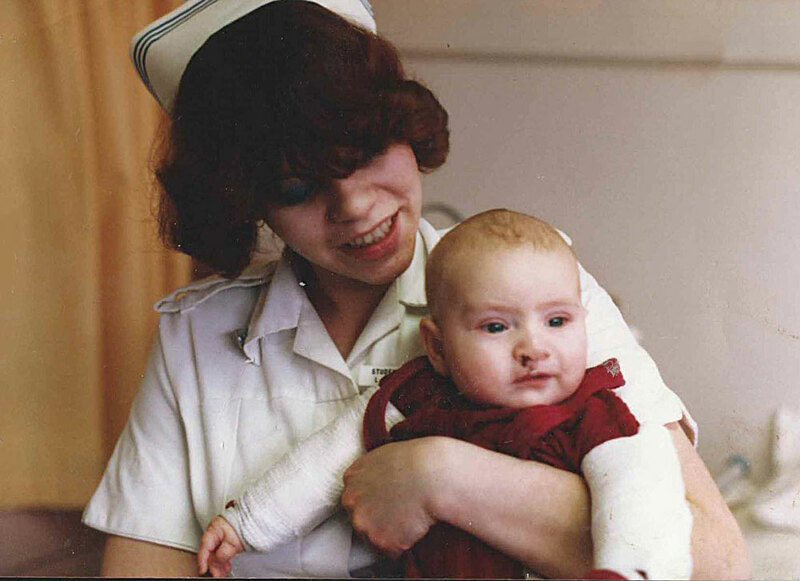 This was to reconstruct and rebuild my nose, which was pulled flat as a result of the cleft lip and palate at birth. They said I could have the operation at around 14-16 years of age but I was given the option to wait. Which I chose to do. In the midst of this I had countless treatments at the orthodontist to straighten my teeth and jaw. I was given two temporary braces and one permanent (which I still have). In my early 20s I finally plucked up the courage to have the operation to reconstruct my nose. This was due to a number of reasons, 1) I lost two close friends in a car crash and this really helped me to realise that life is too short. Therefore, I had to grow up in a very short space of time. And 2) I was in a band and started becoming aware of my appearance. My nose was missing any kind of centre point and gristle, so the operation would completely build this back up. On my pre-op appointment I remember the surgeon saying “we can certainly reconstruct your nose but unfortunately you’re not going to have a nose like Johnny Depp. It will be much bigger like your dad’s!” If anything was going to put me off it was that but I decided to be brave and go for it. I’ve got to say I do not have fond memories of the operation. I was under the knife for five hours and felt dreadful for a long time afterwards. I had to wear a mask for a month. To add insult to injury I remember the nurse elbowing me in my nose when I went to have my stitches and mask removed! Looking back I wish I’d had the surgery done sooner. My life has been much improved since and it was definitely the right thing to do. My fears about the operation were a lot worse in my head than the actual event. I had sleepless nights for weeks prior. Do people ever ask you about your cleft lip? I never really get asked about it at all. I only bring it up when people have asked if I have had any operations etc. and then I’ll point it out. I’m pretty much always faced with the same answer, “oh I wouldn’t have noticed if you wouldn’t have said anything”. I think reading other people’s stories and talking to people in the same situation as you are invaluable. I think one thing people don’t do enough of in this day in age is talk about how they are feeling or discuss the things that are bothering them. One thing I have learned as I have grown older is what you see from people is only about 10%. It’s the tip of the ice berg. There is normally a whole world going on underneath that we know nothing about. So my advice would be to encourage people to talk, ask how they are, and be supportive and kind! It’s part of who they are as a person, so embrace it and use it to help shape yourself into anything you want to be. It will not hinder any path you choose to take in life. You must be confident in the person you are and follow your dreams! I can assure you any doubts about your cleft lip and palate are not echoed in other people’s minds. It has never affected any relationships in my life, whether that be girlfriends or friends. They have always been supportive. Hi, I have just read your article about your cleft lip and palate. I was born in 1962 when cleft lips and palates were not known about so much. 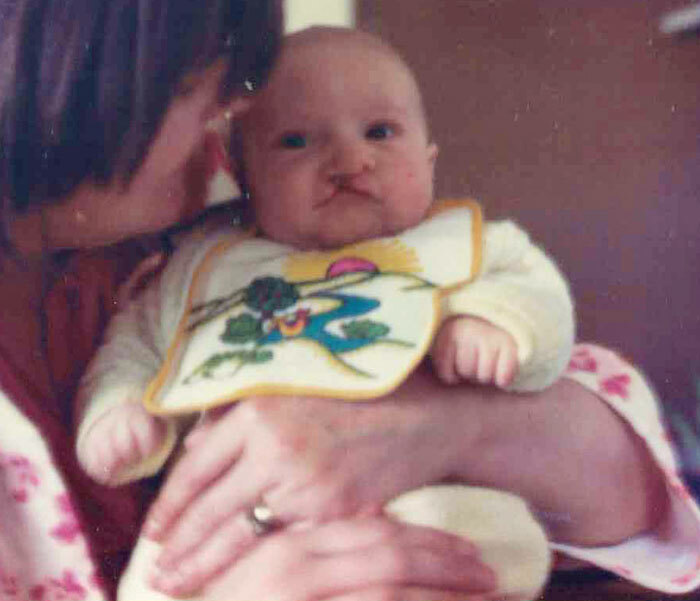 I had a (in the doctors words) “pretty bad cleft lip and palate) – something my mum had never heard of. My nan could not bear to look at me and always preferred my brother as he was apparently a really lovely baby – if euthanasia had been allowed, she would have had me “put to sleep”. I had one operation when I was 6 months to close my lip and palate. Like you, I had lots of orthodontic work during the years I grew up. However, I never had any real friends at school – was teased everyday throughout my school life, having been called “sledgehammer” cos they said my face had been hit by one, Face ache, Dracula, Frankensteins monster plus they made fun of the way I spoke and they would press their noses down to mimic mine. It was relentless, and it was not just confined to school. Everywhere I went kids would just poke fun. Things never got any better when I got older. At 16 I had my nose reshaped but it is still flat on the cleft side. I had an operation on my jaw, where like you, they took a bone from my hip to make my face not look so flat. However, that didnt work. I have had no more surgeries because have cancer and Im on bone strenthening drug as part of the treatment, which means that any surgery done to my jaw would not heal so thats was that. My cleft lip and palate team did not look properly into this bone strengthening drug until 18 months after I started wearing painful teeth braces. Ive had my car vandalised because of the way I look. I also have a son and thankfully he was born without a cleft lip or palate. I hate mine as much as ever and there are very few photographs in the house of me and I still cant bear to look in the mirror – I really hate what I see. The scar on my lip is not the only scar I have, I also have scars due to cancer treatment, but the worst ones are the ones left in my head after all the bullying Ive received during my childhood years and beyond.